One of the American singer, songwriter, performer and actress is Beyoncé Giselle Knowles-Carter who is famous as Beyoncé. She has won 22 Grammy Awards. She is the most nominated woman in the award's history. Forbes ranked her as the most powerful female in entertainment on their 2015 and 2017 lists. In 2016 she occupied the sixth place for Time's Person of the Year. Beyoncé’s full name is Beyoncé Giselle Knowles-Carter. 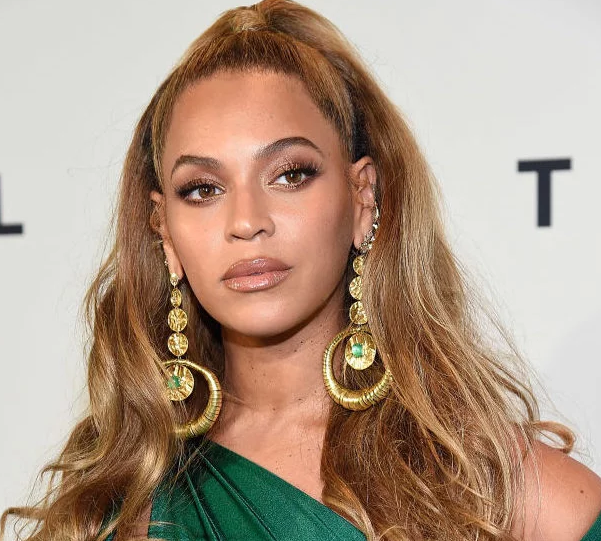 She was born on 4 September 1981 at Houston, Texas, U.S. She was born to Mathew Knowles who was a Xerox sales manager and Celestine Knowles who is a hairdresser and salon owner. She has a sister named Solange Knowles. She attended St. Mary's Montessori School in Houston, where she enrolled in dance classes. She enrolled in Parker Elementary School. She attended the High School for Performing and Visual Arts and later Alief Elsik High School. She was also a member of the choir at St. John's United Methodist Church as a soloist for two years. Beyoncé’s height is 1.69 m and weight is 62 kg. she has dark brown color eyes and blonde color hair. She has a balanced and healthy body. She was named "World's Most Beautiful Woman" by People and the "Hottest Female Singer of All Time" by Complex in 2012. She along with three other girls was moved to a group named ‘Girls' Tyme’. They signed to Elektra Records. Later they signed Columbia Records. In 1996, they changed the name to ‘Destiny’s Child’. In 1997, they released the major debut song titled ‘Killing Time’. Later in the same year, they released the self-titled album. In 1999, the group released their multi-platinum second album ‘The Writing's on the Wall’. In 2001, she made a major role in the MTV made-for-television film named ‘Carmen: A Hip Hopera’. In 2002, she played in a comedy film named ‘Austin Powers in Gold member’. In October 2002, ’03 Bonnie & Clyde’ of Jay-Z’s was released in which she featured. In 2003, she starred as a single mother in the musical comedy named ‘The fighting Temptation’ as Lily. On 24 June 2003, her solo album ‘Dangerously in Love’ was released. The album earned her a then record-tying five awards at the 46th Annual Grammy Award as Best Contemporary R&B Album, Best Female R&B Vocal Performance, Best R&B Song and Best Rap/Sung Collaboration and Best R&B Performance by a Duo or Group. In 2005, she and her mother introduced House of Dereon which is a contemporary women's fashion line. On 4 September 2006, her second solo album ‘B’Day’ was released. In 2006, she acted in the comedy film named ‘The Pink Panther’. In 2007, she has worked with Tommy Hilfiger for the fragrances True Star as well as True Star Gold and also promoted Emporio Armani's Diamond Fragrance. On 18 November 2008, her third studio album named ‘I am... Sasha Fierce’ was released in the United States. The video of ‘Single Ladies’ has won several awards, including Best Video at the 2009 MTV Europe Music Awards, the 2009 Scottish MOBO Awards, and the 2009 BET Awards. At the 2009 MTV Video Music Awards, the video was nominated for nine awards, ultimately winning three including Video of the Year. She played in a thriller movie named ‘Obsessed’ which made her won the 2010 MTV Movie Award for Best Fight. In 2009, she and her mother launched a junior apparel. In 2010, she launched her first official fragrance ‘Heat’. On May 27, 2010, she teamed up with clothing store C&A to launch her stores in Brazil. She has had deals with American Express, Nintendo, and L'Oréal. On 24 June 2011, her fourth studio album ‘4’ was released. On June 26, 2011, she became the first solo female artist to headline the main Pyramid stage at the 2011 Glastonbury Festival in over twenty years. Since 2002, she has worked with Pepsi and in 2012 she signed a deal to endorse Pepsi. In January 2013, Destiny’s Child released the compilation album named ‘Love Songs’. On 16 February 2013, her co-directed documentary film ‘Life is but a Dream’ was aired on HBO. She voiced in the animated film named ‘Epic’ which was released on 24 May. On 13 December 2013, she released her fifth studio alum named ‘Beyoncé’. This made her the first woman in the chart's history to have her first five studio albums debut at number one. On 24 August 2014, she received the Video Vanguard Award at the 2014 MTV Video Music Awards. She also won home three competitive awards as Best Video with a Social Message and Best Cinematography as well as best collaboration. In October 2014, Beyoncé signed a deal to launch an activewear line of clothing with British fashion retailer Topshop. In February 2015, at the 57th Annual Grammy Awards, she was nominated for six awards and ultimately winning three as Best R&B Performance and Best R&B Song and Best Surround Sound Album. On 6 February 2016, she released ‘Formation’. On 16 April 2016, she released a teaser clip for a project called Lemonade. On 4 January 2018, the music video of her and Jay-Z named ‘Family Feud’ was released. On 16 June 2018, she and her husband Jay-Z claimed that their joint studio album named ‘everything Is Love’ is available on Tidal. In the film named ‘The Lion King’, she will be voicing as Nala which is expected to be released on 19 July 2019. 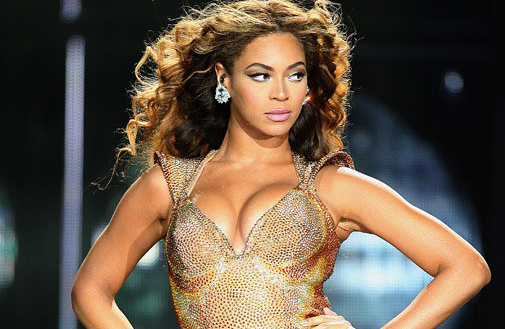 Beyonce’s net worth is estimated to be $355 million.